The bright and durable BAS URL Series provides superior streetlight illumination with exceptional efficiency — and up to 50,000 hours of operation. Diecast housing maintains maximum, year-round protection, while optimal thermal properties enhance LED performance. Reduce maintenance costs and keep underpasses, public facilities, residential communities or retail centers brighter and safer with powerful, reliable LED technology. Heavy-duty aluminum die cast housing means little maintenance, fewer municipal costs and zero roadside inconveniences. 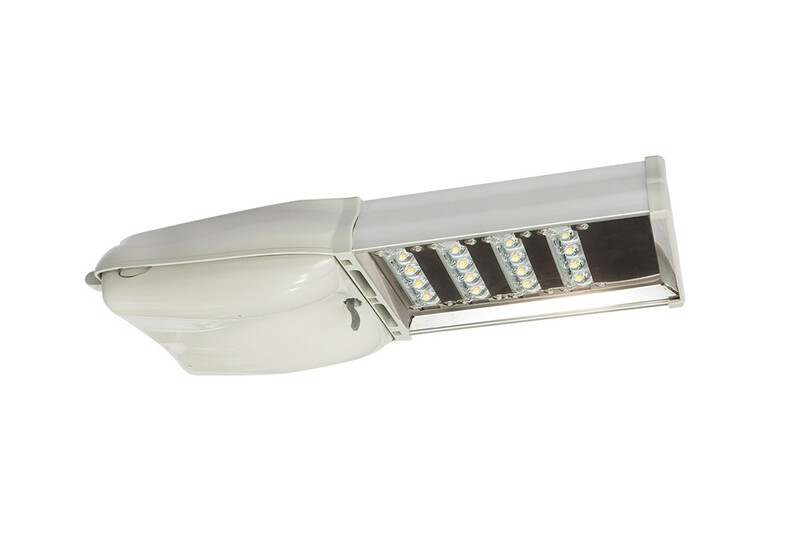 This incredibly robust fixture is designed to provide year-round protection in any weather. Bring it, winter. Can be mounted to existing pole arms for simple installation. So easy a donkey could do it. A 5000K color temperature improves vision and keeps drivers alert, improving roadway safety for humans and critters alike. A lumen range of 9,864 to 16,492 means we’ve got you covered, no matter your footcandle requirements.